Lizzie's engagement to Henry Tudor splits the court, as the two Houses prepare for battle. 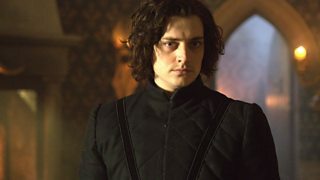 Richard's grip on the throne weakens as his son dies and his wife becomes sickly. 10/11 Princess Elizabeth's engagement to Henry Tudor threatens to divide court loyalties.